Blount Small Ship Adventures, a leader in small ship river cruising, is offering travelers the opportunity to sail two for the price of one on some of the cruise line’s most popular itineraries. This summer, the ‘Chicago to the Big Easy’ and ‘Atlantic Coastal Waterways’ sailings, plus select departures of the ‘Great American Waterways’ itinerary, will be offered at the special two-for-one value. This promotion will be valid through the dates of departure, on new bookings only. 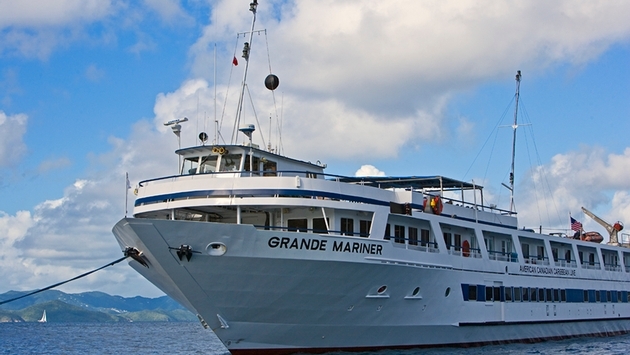 • Chicago to the Big Easy is a 15-night, 16-day sailing, departing on the Grande Caribe June 2. The itinerary, which begins in Joliet, IL. and concludes in New Orleans, LA, navigates multiple narrow waterways to bring guests a picturesque experience alongside the banks of the Mississippi, Ohio and Illinois Rivers. Rates start at $4,999 per couple, based on double occupancy. • Atlantic Coastal Waterways is a 15-night, 16-day adventure with departures on the Grande Mariner June 7 and the Grande Caribe June 30. This cruise travels from Jacksonville, FL to Warren, RI and visits a total of 15 ports, giving guests the chance to experience the southern charm of Savannah, GA, the coastal metropolis of Norfolk, VA, and the historic town of Newport, RI, among others. Rates start at $4,999 per couple, based on double occupancy. • Great American Waterways is a 15-night, 16-day cruise that travels between Warren, RI and Chicago, IL, making stops in ports that include Buffalo, NY, Cleveland, OH and Mackinac Island, MI. This sailing is part of Blount’s Signature Series line, which includes routes that showcase the one-of-a-kind features on Blount ships. The ability to pass through narrow waterways with the ships’ shallow drafts, and fit under low bridges with the retractable pilot house, allows passengers to experience the famed Erie Canal, where no other overnight cruise line can go. 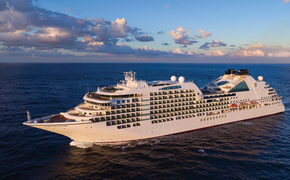 The July 27 and July 29 sailings, on the Grande Mariner and Grande Caribe respectively, will be offered at the special two-for-one rate, starting at start at $4,999 per couple, based on double occupancy. All Blount cruises include: three meals daily with menus that are fresh, creative and often reflect the local cuisine; refreshments and snacks 24-hours a day; plus guest lectures and workshops. Blount cruises also feature a BYOB policy, with mixers and set-ups for cocktails available throughout the day, along with complimentary house wine and beer offered during lunch and dinner. Blount Small Ship Adventures’ most recent deals and promotions can be found at www.blountsmallshipadventures.com/2014offers. For more information, contact info@blountsmallshipadventures.com or call 1-888-618-4770. Follow Blount Small Ship Adventures on Facebook at Blount Small Ship Adventures, and Twitter at @BlountSmallShip.